Before you go live, be sure you’ve checked off everything on this list. This will ensure you’re making a great first impression on everyone who visits your new store. See the checklist below! 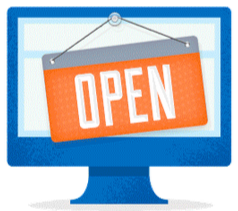 Check the main links on your storefront. Click on the links in your header and footer. Click on the categories in your navigation menus. Click on all of your Nav Menu Promotions. Before you can successfully launch, you need to take care of some technical house-cleaning first. Point your domain name to Volusion, either by pointing to Volusion's name servers or configuring a CNAME record. Use your Volusion Toolbar to edit information and images directly from your storefront. In order for people to find your site at the domain name you chose, you'll need to make sure your DNS hosting is in place and that your domain name is pointed at Volusion. These steps will take affect immediately, but because of the way the internet is set up, it may take up to three days before everyone everywhere can access your site at its domain name. Make sure to account for these steps and the processing time! Once your domain name is properly redirecting to your Volusion site, follow one last step to mask that temporary URL and display your official domain name to the world. Tip: You'll also need to be live on your domain name in order to accurately confirm that your SSL Seal is working properly and that it's safe for you to accept credit cards through your website. 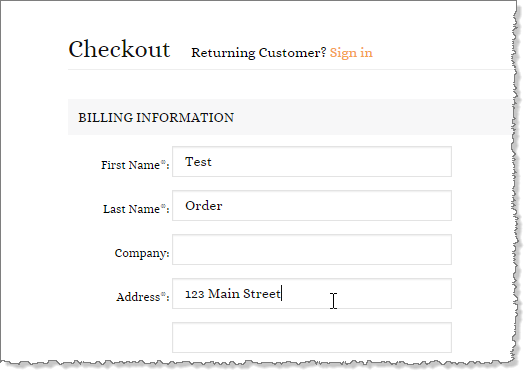 Test your checkout process in Internet Explorer, Firefox, and Chrome. Check out with a credit card to make sure your gateway integration is set up correctly. Be sure to cancel the test orders and void the payments when you’re done. Make sure your gateway is set up to accept the credit card types you have enabled at Settings > Payment > Card Settings – it’s common for American Express to require additional configuration! Check the Shipping Rates that are provided for a sampling of your products and available shipping states, then check with your chosen shipping carrier to make sure you are correctly charging your customers. Check that your store Tax calculates correctly for multiple zip codes in the different states that you’re required to charge tax. Contact a tax accountant if you have any questions about when you’re required to charge tax. Review the Order Confirmation and Order Shipped emails to the customer to ensure that your email templates are customized for your store. Make sure your store’s contact information is available on your storefront, and check that the emails are delivered to you successfully. For more tips, see How to Test Your Store's Checkout Process! Send real users to your site, for free. Try http://peek.usertesting.com/ for a free 5-min video. Watch it, then try https://userbob.com/payBob?planType=custom&platform=Web for $1 per video. Getting 5 videos each time (for a total of five bucks) is a true bargain and will really help you understand how users navigate your site and think about your business. It's invaluable to see recordings of people trying your site, and seeing what they think. You’ve completed the basic setup steps for your store, and you’re ready to start selling. You can send out a Newsletter blast to let any existing customers know that you’re up and running on your new store, or you can post on your business’ Facebook, Twitter, or blog that you’re ready to start taking orders. Once you’re live and processing orders, you can take some time to check out the other great resources Volusion has to offer, such as our industry-leading Ecommerce Insights blog. These resources provide smart tips for expanding your online store and offer great insights about being a successful online business owner. Volusion also offers Ecommerce Marketing Services to help you reach your target market, maximize your traffic and boost sales! Volusion can focus on your online marketing needs while you focus on other important business matters.